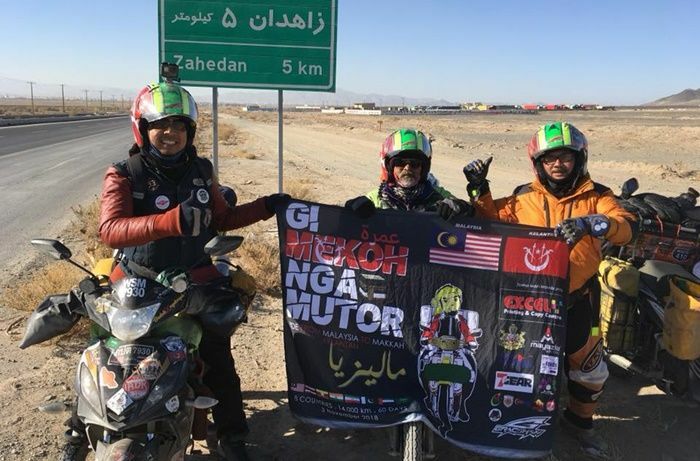 KOTA BHARU, Jan 30 2019 : Three friends arrived home safely after travelling to Mecca on their underbone (kapcai) motorcycles to perfom umrah, thus accomplishing their ‘Gi Mekoh Nga Motor’ mission. The Kelantanese trio comprising leader Diami Yusoff, 58, Mohamad Fadhli Ab Rashid, 40, and Mohd Zalani Zulkifli, 64, arrived at the Sultan Ismail Petra Airport (LTSIP) at about 3.30 pm yesterday. According to Diami they took almost three months to complete the mission after embarking on the 14,000 kilometre journey on Nov 3, which took them through eight countries, namely, Thailand, Myanmar, India, Pakistan, Iran, United Arab Emirates and Saudi Arabia. “I am grateful to be able to complete the mission on our ‘kapcai’ motorcycles. We are thrilled and proud to bring glory to the state,” he told reporters at a welcome home ceremony for the ‘Gi Mekoh Nga Motor ‘ team at TSIP here today. They were greeted on arrival by Menteri Besar, Datuk Ahmad Yakob, State Youth Sports and NGO Committee chairman Wan Roslan Wan Hamat and Tourism Malaysia Kelantan director Hafiz Hazin. Diami added that among challenges and obstacles faced during the mission was having to bear with the extreme cold weather which dipped to minus 10 degrees Celsius in India and Iran. “We also had to endure the difficult and beaten tracks in Myanmar and some streets in India as well as the cross winds in the desert areas,” he said. 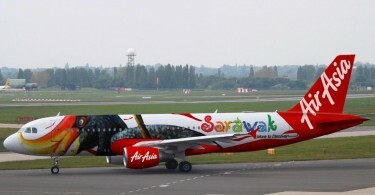 On the costs of travel, Diami said they spent RM120, 000 on the round-trip which was made possible by contributions from various parties including the state government. “Throughout our travel we were awed by the friendliness and kindness shown by the people in every country, who were always willing to offer us food and shelter,” he said.